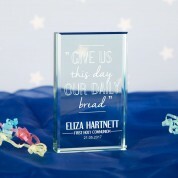 This personalised glass block makes a wonderful keepsake for any child celebrating their First Holy Communion. 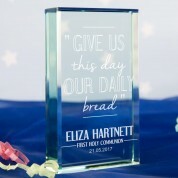 The design features part of the Lord's prayer “Give us this day our daily bread” followed by the child's full name, “First Holy Communion” and special date. 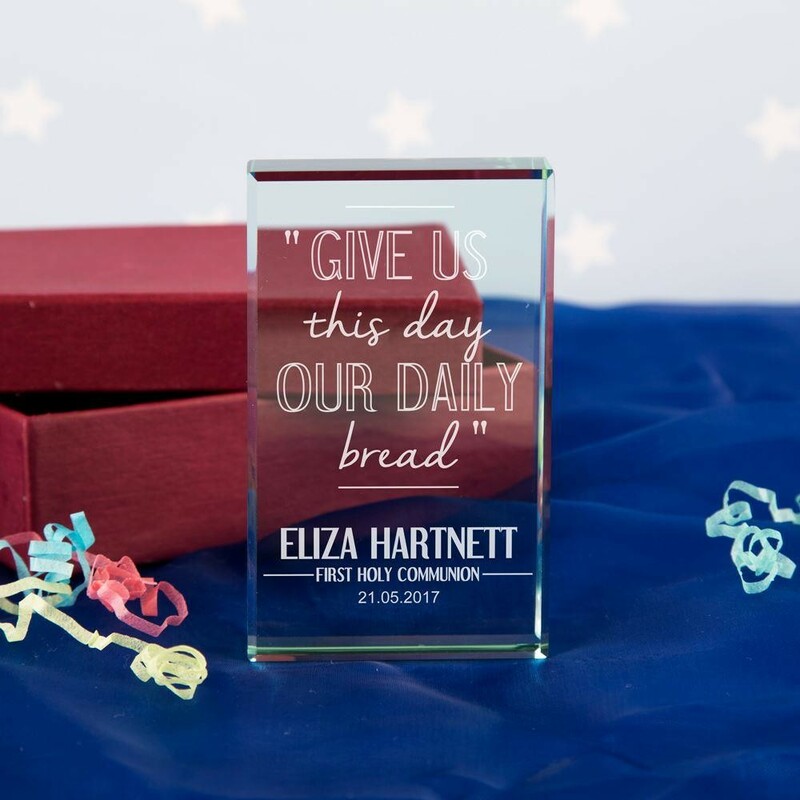 Each glass block is designed and personalised in house, making it a truly unique gift for each child. The jade glass has a green tinge when the light hits the glass. 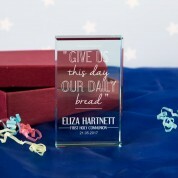 It will look beautiful wherever it is displayed, and visitors will be quick to comment on it. It comes gift ready in a silk lined presentation box. Dimensions: approx 5.75 x 9.5 x 2cm depth.